It’s no secret one of my all-time my favorite words is JOY. My family and friends know this only too well. Momma told me I came into this world singing robustly for JOY and have actively pursued JOY in simple, everyday ways as a constant quest. Days may be long, but years a far too short. So why do we reserve JOY for special occasions, holidays, or stolen moments? If we want JOY to be the story of our years, JOY must really be the story of our daily lives. JOY must be the way we choose and the habits we form as we travel on this journey of life. 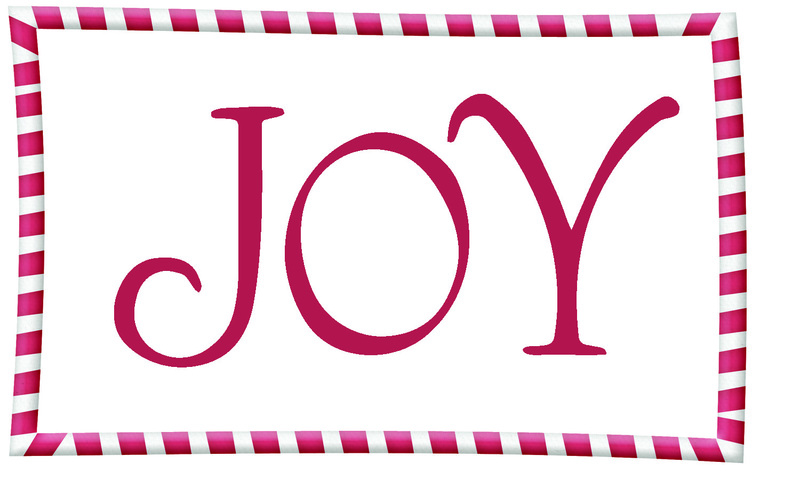 JOY surrounds us, but we must actually teach ourselves and others the way to find it and how to share it with others, thus leading me to a couple of challenging questions for today: How will you share JOY with those you hold dear during this JOYous season? How will you convey JOY to others who look to you for guidance in finding it within themselves?